Arkansas Dutch Shepherd Rescue View other Dutch Shepherds for adoption. What a pretty coat of many brindle colors! 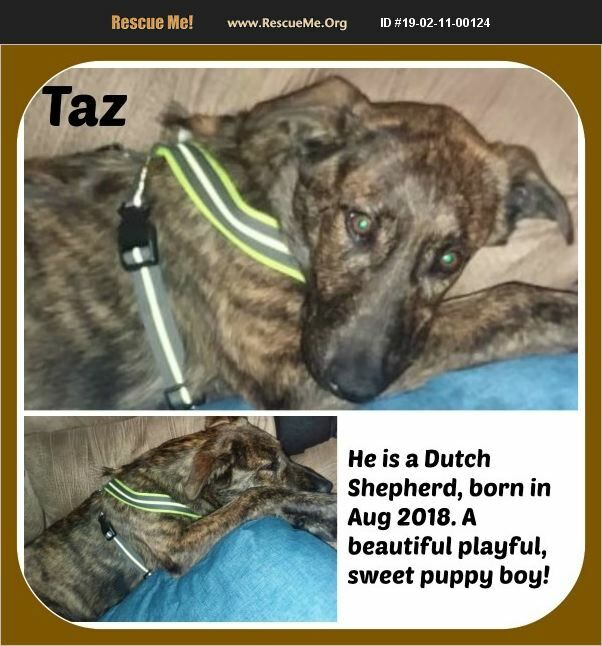 This is Taz, a Dutch Shepherd mix puppy, born in August, 2018. This is one happy little boy who has lots of puppy energy for playing, running and chasing in the backyard! He is great with kids and playing with other dogs. His breed is know for being very affectionate, loyal, obedient, alert, reliable, and trainable. Taz is ready to be your new forever fur friend!